Samwell Tarly might seem like a peripheral character in Game of Thrones at the moment, but this incredibly convincing theory, if true, makes him perhaps the show’s most important figure, and season 6 and 7 have given us two very important pieces of evidence for it. 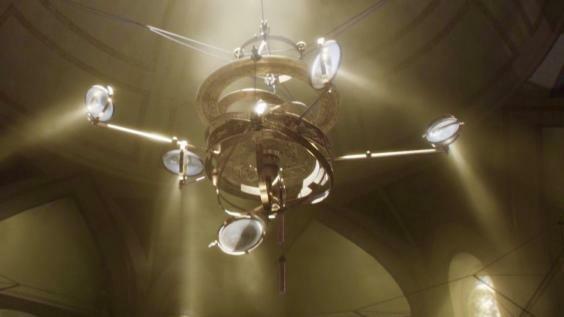 The first came in season 6 episode 10 when Sam first entered the library of the Citadel. You’ll remember a spinning sun device looming over him, the same device that forms the ‘Game of Thrones’ logo in the titles, suggesting it is pretty important. 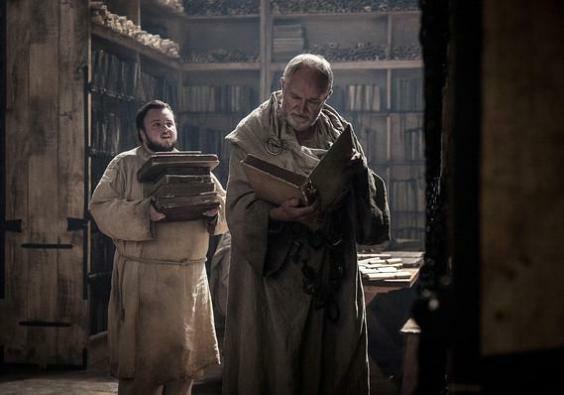 Then, in season 7 episode 2, Archmaester Marwyn (Jim Broadbent) discussed the importance of documenting history in books so that its mistakes might not be repeated. He admits that a little “style” is necessary for making people engage with history though, which leads Sam to question the archmaester’s less-than-catchy working title of his book on the period, A Chronicle of the Wars of Following the Death of King Robert I. “Mm, possibly something a bit more poetic?” Sam nervously suggests. How about, say, A Song of Ice and Fire? And what if Marwyn doesn’t live to finish the chronicle and Sam is left to? This would make him the author of A Song of Ice and Fire by Samwell Tarly – the recollection of all the events we will have witnessed over the show’s eight seasons – and who better to tell it than an honest man, one close to Jon Snow and privy to his recounted White Walker experiences? This theory also yields about the best guess at Game of Thrones’final shot: Sam closing the book, having just written its final chapter. I have been so beiredlwed in the past but now it all makes sense!